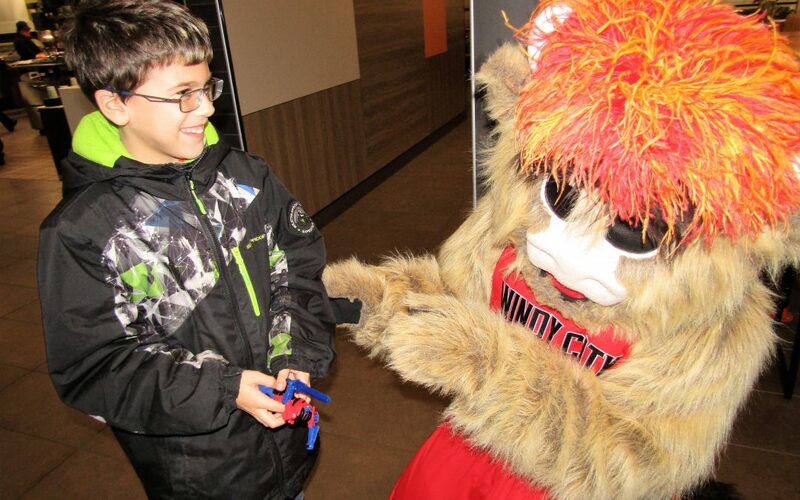 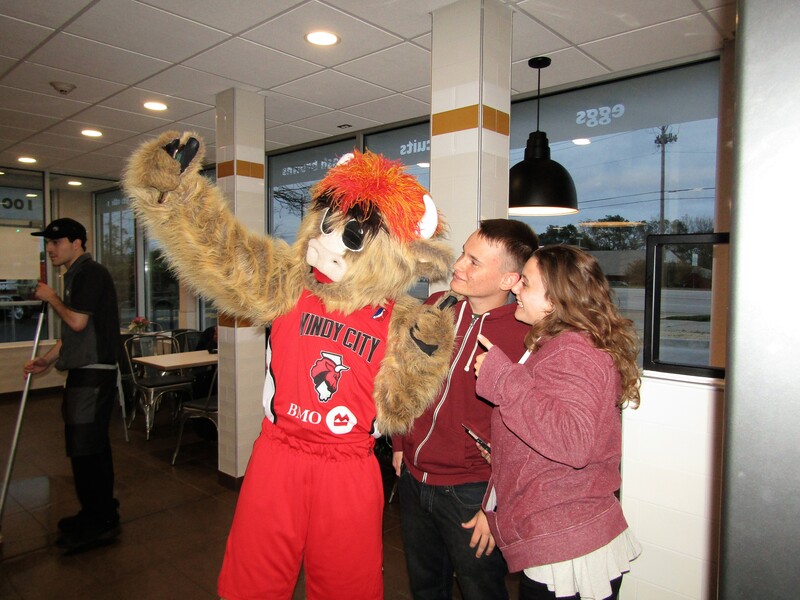 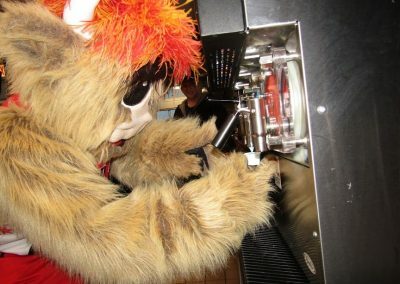 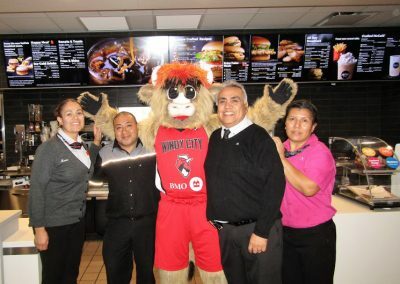 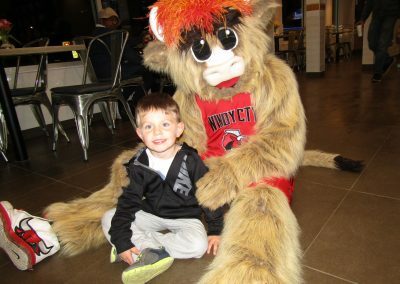 Adults and children thoroughly enjoyed meeting Gus T. Bull of the Windy City Bulls at the Newly Remodeled South Elgin McDonald’s on N. McLean Blvd., on Friday, October 27th at 5:30 PM. 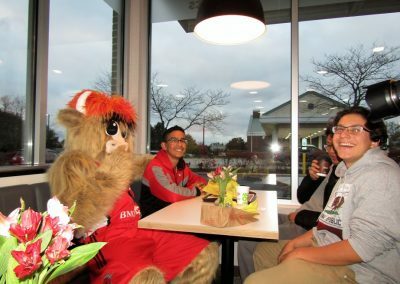 Fans came adorned in their Bulls gear to meet Gus T. Bull. 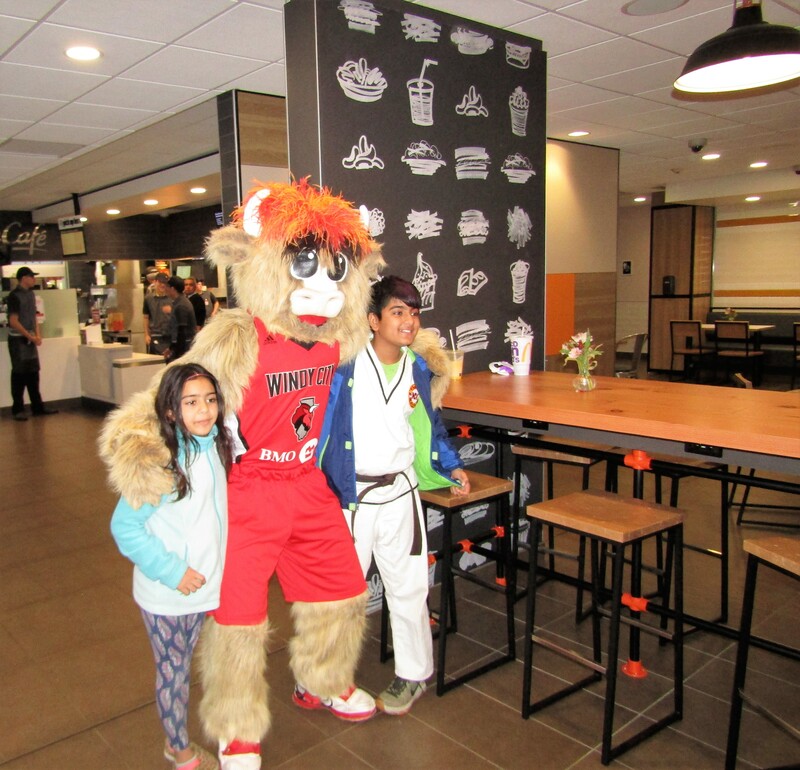 McDonald’s customer, Yvette, and Lucas Duffy were very excited to meet Gus T. Bull and Yvette said, “We love going to the Sears Center to see The Windy City Bulls play, it is something we do quite often, and Meeting Gus T. Bull is the highlight of our weekend” Gus T. Bull took time for pictures with the children and families and even the McDonald’s Staff! 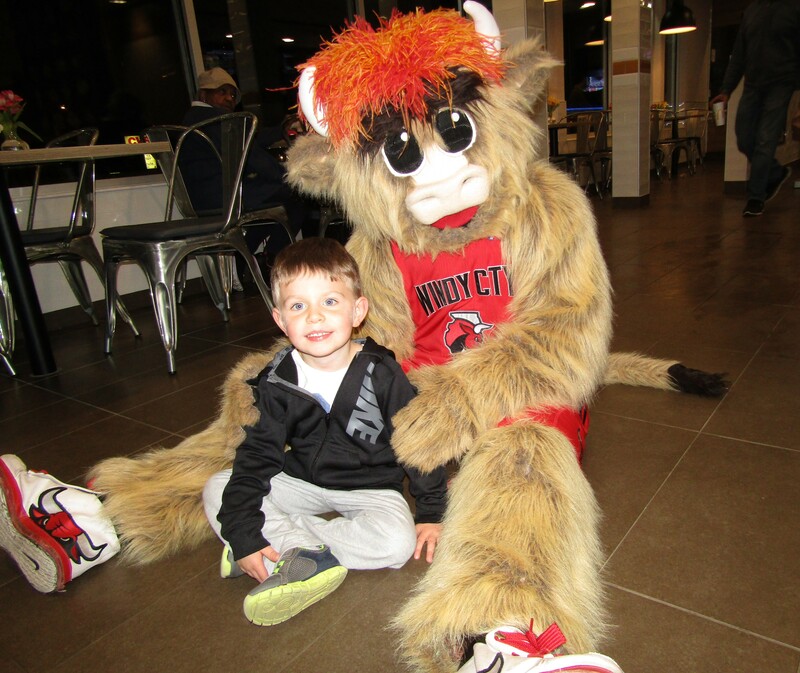 Gus T. Bull was a big hit! 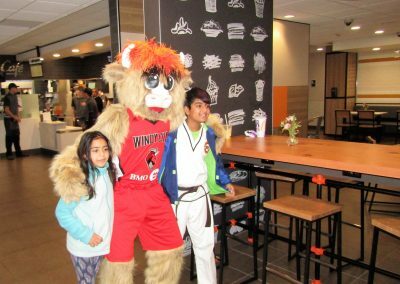 McDonald’s Owner, David Bear, of the Bear Family, was pleased to have Gus T. Bull be a part of the Grand Re-Opening festivities at the South Elgin McDonald’s located at 100 N. McLean Blvd. 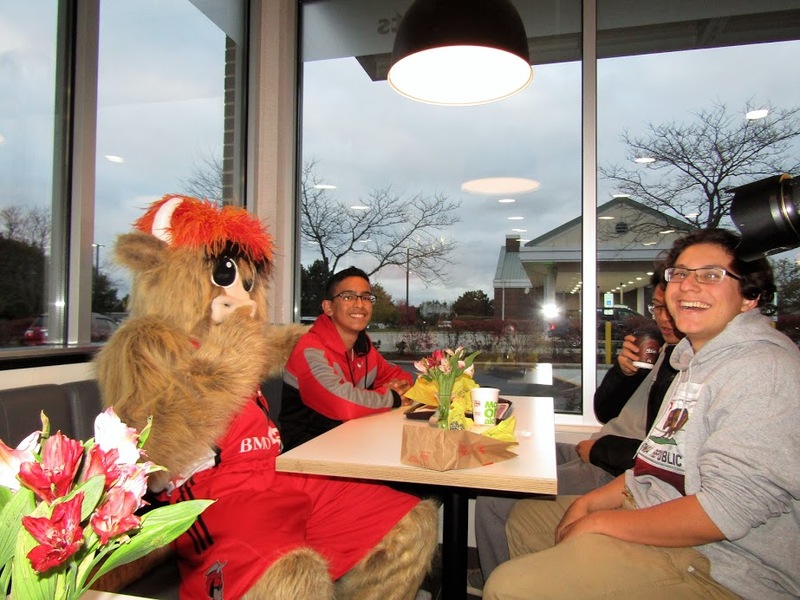 Please stop in to see the Newly Remodeled McDonald’s, and try the New Self Ordering Kiosk’s and enjoy a nice warm meal in this Beautiful New Dining Room.